I consider myself fortunate both to have been born into the Cuban revolution process and to be able to express myself as an artist. To date some of my best work has been acquired by different public and private collections around the world. In the present I live and work in a beautiful location in Solva, Pembrokeshire where you can come to experience my work as well as see some of it here on my web site. See details of latest exhibitions in news sections and on my CV. We seem to be suffering s emi-permanent problem with Raul’s email address. 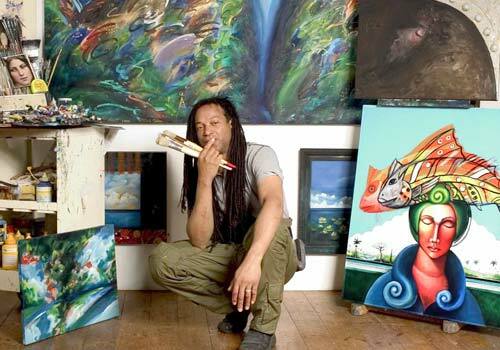 Can you therefore at the moment email him or the Gallery on raul@heatherbennett.co.uk? Very sorry if you have been sending emails lately and getting no response. 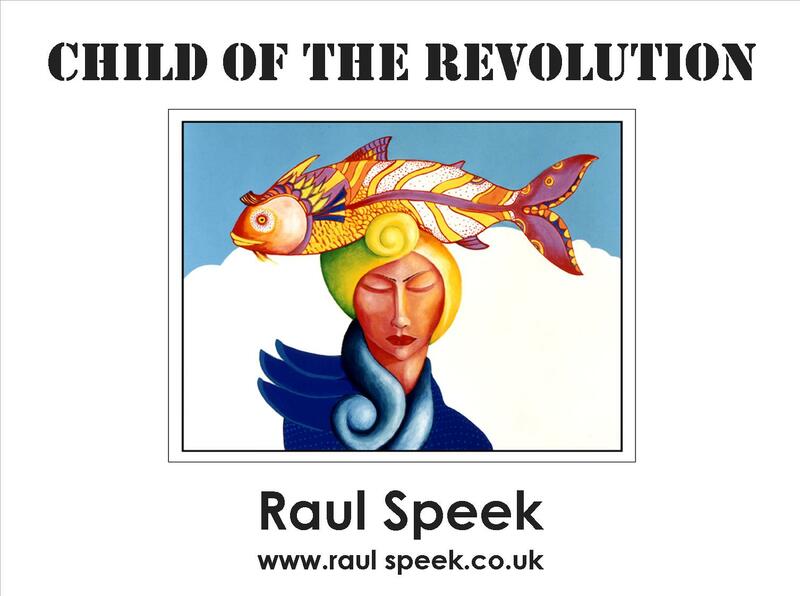 Raul’s new book Child of the Revolution is now on sale at the Gallery following a very succesful launch here on 22nd May. People seem to be interested not only in the images but also in the excert from his biography, the brief history of Cuba which sets this in time and the sections at the beginning of each genre explaining their context and the reason for their importance in Raul’s life. Limited Edition Prints are available of many of the images in the ‘Works’ section of the webpage. Please email the Gallery for further information and prices on/for individual pieces or give us a ring. Events are listed under the News section for example see Fish Week Tapas and Jazz and Salsa Nights for 2014. 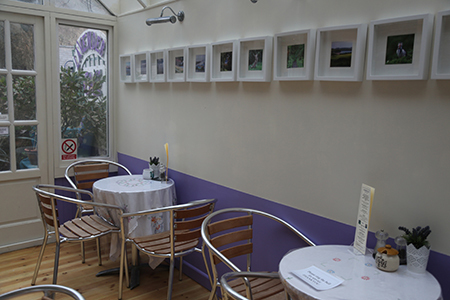 A new series of painting workshops, holidays and talks are taking place this year at the gallery and live music will sometimes ‘happen’ creating a relaxed, enjoyable and unique opportunity around Lavender Cafe and the gallery art space. See the workshops section on this site for art information and the music page on this site or our cafe website www.lavendercafesolva.wordpress.com for music details. For details of Raul’s music events and CDs please go to the My Music page. Raul provides licences for people wishing to use tracks from his CDs as backing for their own videos for websites, YouTube etc. He also accepts commissions to write music for specific pieces of video/film or other purposes. 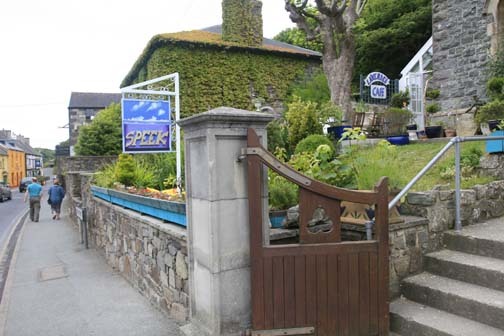 As a founder member of ARTists Pembrokeshire www.artpembrokeshire.co.uk Raul is committed to encouraging the growth of the art community in the county. He has been from the beginning part of ARTicle the emagazine associated with showcasing art locally and across the international art world. In fact the magazine was originally his brainchild but he is very grateful to Maria Jones, Ian MacDonald and Heather Bennet who have shared with him the journey to bring it into being. In July 2012 Raul and the Reverend Sarah Geach formed ‘Art on the Faith Trail’ with the intention of exhibiting local artists in churches associated with the county’s Pilgrims Trail. This had the blessing of the Bishop of St Davids Wyn Evans. See the entry under Exhibitions July 2012 for more details. This ran again in July 2013 and will do in July 2014.